Shake your tail feather! 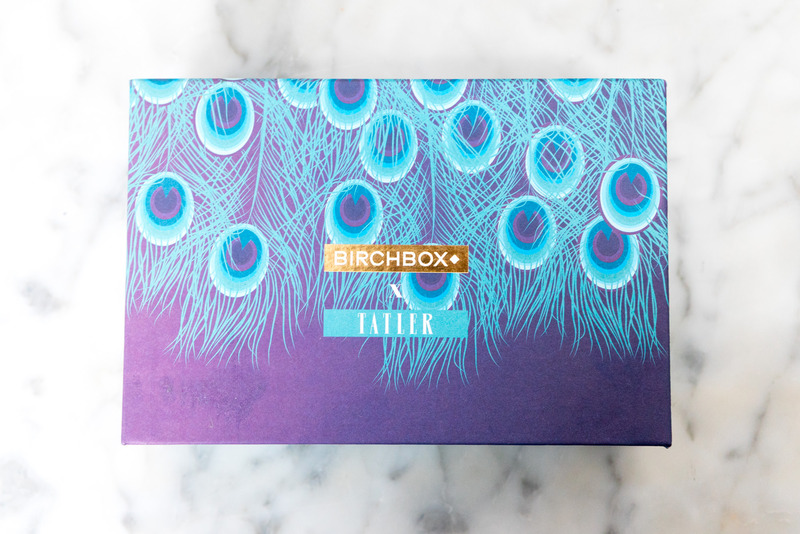 Birchbox for Novembers edition collaborated with Tatler magazine for a party season-centric design – perfect for getting you ready for the festive gatherings this season brings. With two full sized samples and three travel/sample sized items the November UK 2016 Birchbox has some delightful beauty treats. Keeping lips hydrated and healthy can be a struggle in the colder months – for me, it is out with my matte liquid lipsticks and in with lip oils and balms. The Obsessive Compulsive Cosmetics Lip Tar Primer preps lips with Vitamin E, hemp and peppermint oils to soothe and hydrate. Use solo to keep your lips soft and smooth or under your chosen colour to keep it in place for longer. After a long night, you may need a boost for your tired skin. NUXE Creme Prodigieuse uses the blue everlasting flower to increase skin’s antioxidant levels and restore hydration. A lovely scented, anti-fatigue morning moisturiser. The final sample size item is the Darphin Rose Aromatic Care essential oil which can be massaged into the skin before bed. Leave your skin soft, smooth and nourished and give your complexion some love! Even though the sample is tiny, you only need five drops per use, so it will last a long time. The rose scent is strong but not overwhelming when applied. 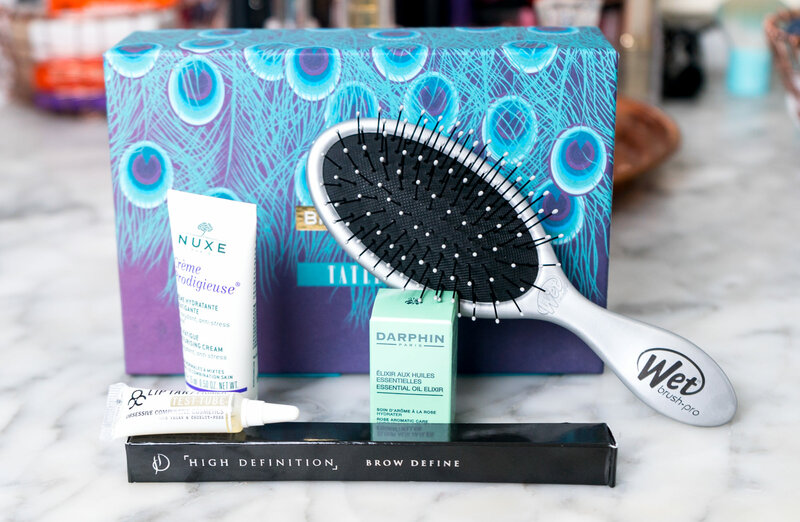 The two full sized items are great beauty items with this month’s Birchbox. The first is the Wet Brush; I received the Midi wet brush in silver. 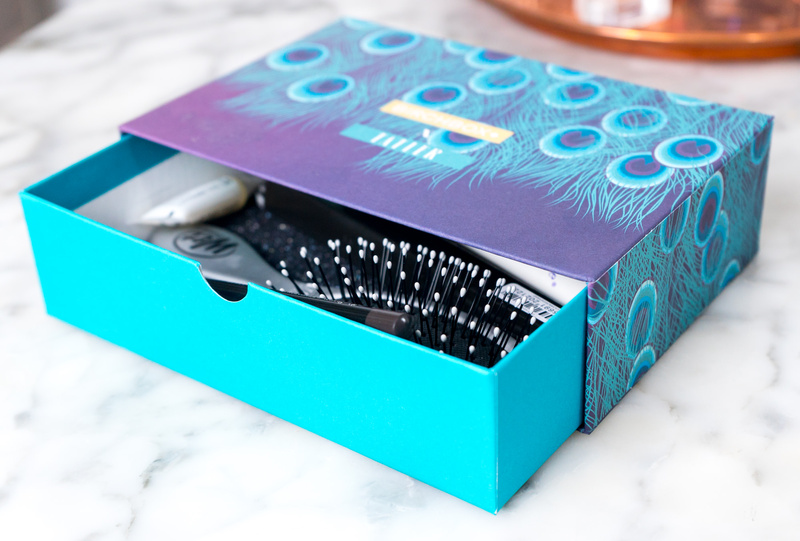 A tiny little brush that is perfect for on the go or in my swimming bag as it is ideal for detangling – even on my long, thick hair. The bristles are very thin and flexible, so it is very gentle while still getting the knots out. 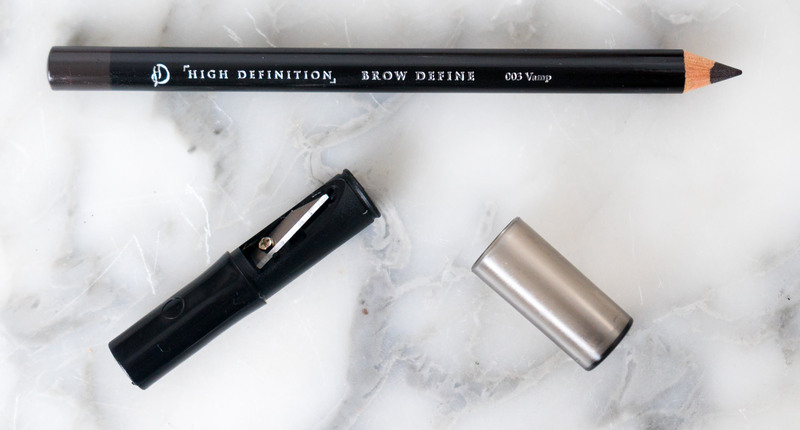 Finally onto brows with the High Definition Brow Define in the shade 003 Vamp. This brow pencil is, fortunately, the perfect shade for me – I know it won’t be for everyone, it is the luck of the draw sometimes with beauty subscription boxes. This pencil with quite hard so you can draw in every individual hair. While I am not usually a fan of actual pencil beauty products the lid hides a high-quality sharpener so I cannot grumble about that! Which is your favourite item from the November UK 2016 Birchbox? Previous Post 15 Insanely Adorable Elephant Gifts For People Who Love Elephants!